The BeltLine will provide numerous opportunities to live, work, and play along a 22-mile transit corridor. Experience includes project management for the PATH Foundation of the West End BeltLine Trail, along with the design of one park and two neighborhood plazas. Working within the right-of-ways of state routes and local streets, the project incorporated a “street diet” along White Street to reduce the road from a four-lane to a two-lane road with a center turn lane. 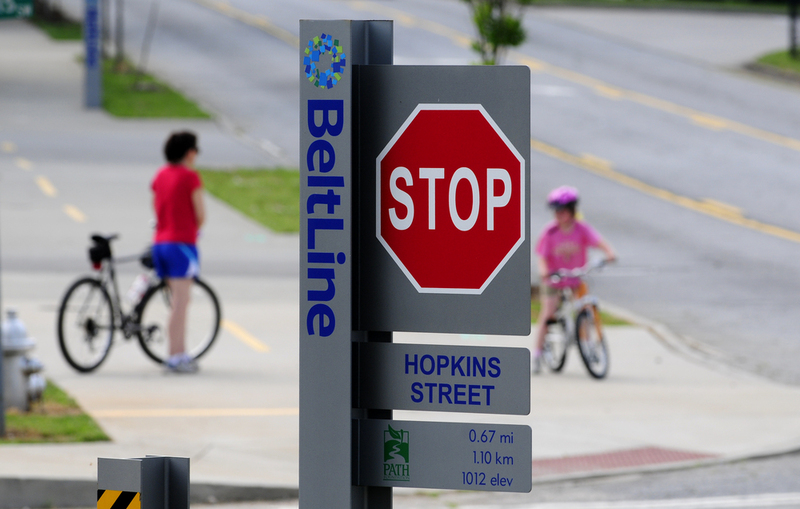 Standards for the BeltLine trail system were created during the project which included trail surfacing, materials, signage, benches, trash cans, bike racks, and railings – all with a reflection of railroad industrial with a modern appearance.